(I have k.d. lang singing Leonard Cohen’s Hallelujah on a loop in the background. That tells you everything you need to know, really. No. Today, I sketch in faint pastels, impressions. The sound of laughter as the hail pelts the trampoline turns the strawberry bed into salad. No, it’s recycling, tipped over by the water, by that car. At home, I have a bottle of significantly sub-$30 Mengage A Trois. We will drink it later, after we mop your kitchen floor. 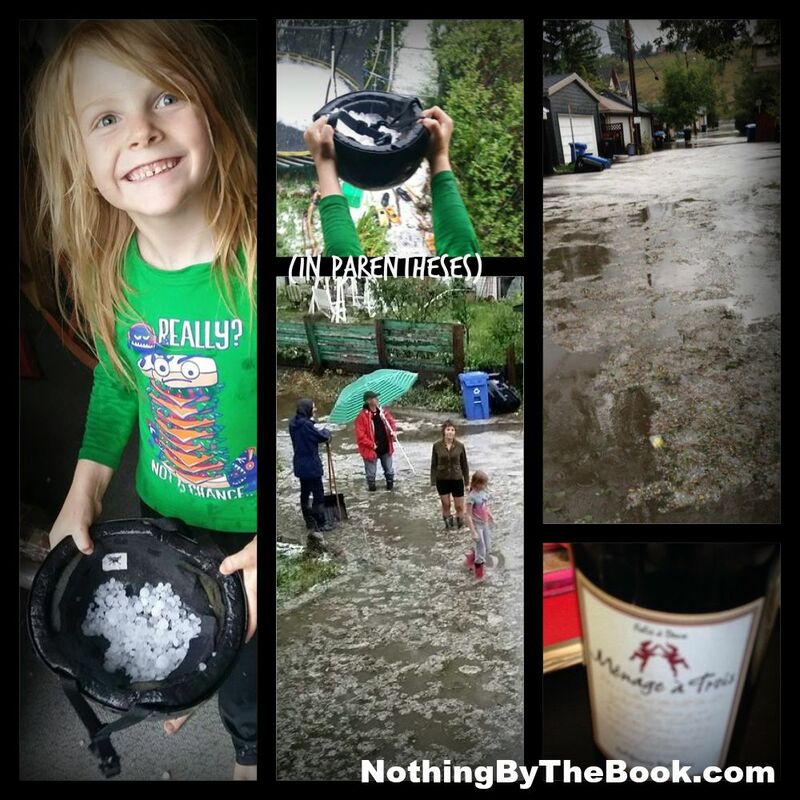 The storm sewer drain is a bubbling fountain, and we are knee-high in freezing hail water, helpless and wanting to be doing something, but what? Fire department. We all know we’re having a June 2013 flashback. They’re kind. It’s over very quickly, really. The alley drains. Dry. Everything’s fine. It’s probably a very good thing there is only one bottle of wine between the three of us, no? In the morning, sunlight dancing in raindrops still suspended in battered leaves. Traffic reports, road closures, news I don’t particularly want to hear. It melts as the sun continues to shine. …but I couldn’t quite figure out how to do it.